With increased competitiveness among businesses throughout the city and neighboring suburbs, commercial business and property owners benefit from providing a comfortable and pleasing environment. Yet, to do so, HVAC systems must run around the clock. Thus, to combat the high costs of operation and repairs for clogged or broken units, regular HVAC maintenance provides a preventative-type service to keep units working efficiently. In the process, energy costs are reduced too. Additionally, regular maintenance for commercial HVAC systems helps increase reliability, giving employers the peace of mind they need for every season. 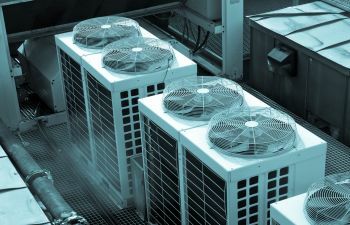 While commercial units may need repairs from time to time, regularly scheduled tune-ups provide insight into potential problems before they happen. These “check-ups” also help regulate the temperature of large and small commercial spaces, while ensuring that airflow is even throughout. Should a problem arise with lukewarm air coming from a vent, a moldy odor or uneven heating and cooling, having an established relationship with a dependable HVAC specialist means that your system will not be down for long. Aside from greater energy efficiency, reliability and improved comfort, regularly scheduled HVAC maintenance for your commercial system results in a lower carbon footprint, which demonstrates the commitment to a better, healthier environment all around. At ClimateSmith, LLC, we understand that when you own or manage a commercial property, and your heating, ventilation or air conditioning system is in need of repair, it can be stressful to locate the right contractor for the job. That’s why we invite you to take advantage of regularly scheduled commercial maintenance services from our licensed and insured HVAC contractors. We make it easy to get the help you need. Questions? Call ClimateSmith, LLC today!